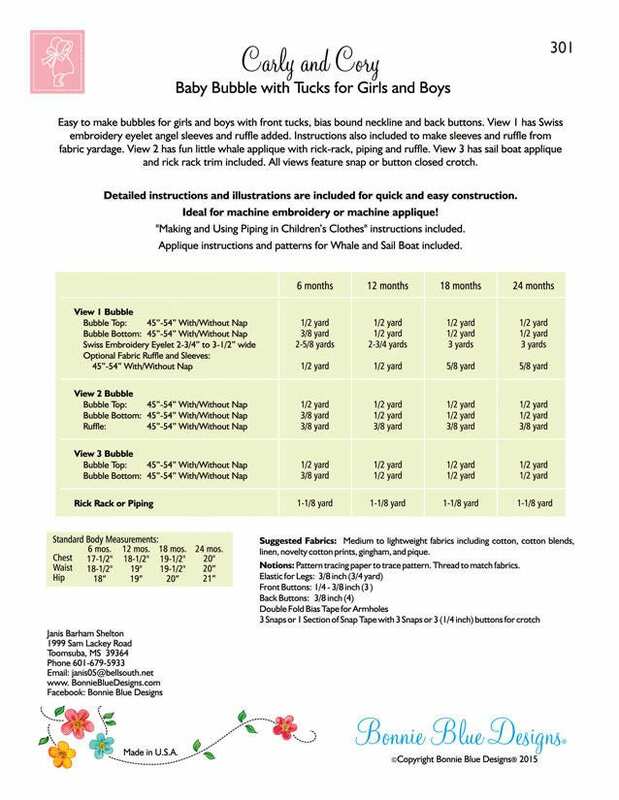 Package includes patterns and instructions to make Baby Bubble with Tucks for Girls and Boys. Easy to make bubbles for girls and boys with front tucks, bias bound neckline and back buttons. View 1 has Swiss embroidery eyelet angel sleeves and ruffle added. Instructions also included to make sleeves and ruffle form fabric yardage. View 2 has fun little whale applique with rick-rack, piping and ruffle. View 3 has sail boat applique with rick-rack trim. "Making and Using Piping in Children's Clothes" instructions included. 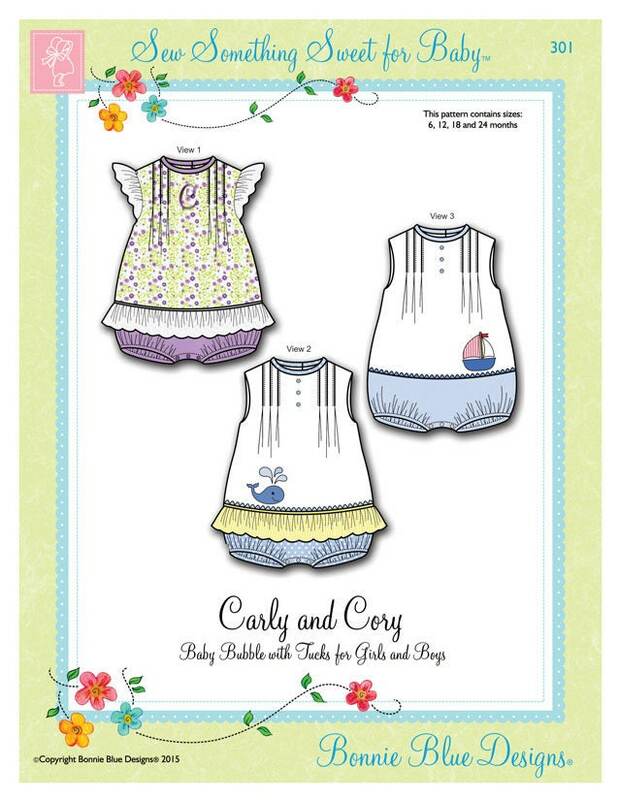 Applique instructions and patterns for Whale and Sail Boat included. 6 mo, 12 mo, 18 mo, 24 mo - All sizes included in one envelope.